Lakefront Trail, Chicago from Best City Bike Paths in the U.S. The number of cyclists is growing rapidly from coast to coast. The National Household Travel Survey showed that the number of reported trips has more than doubled since the first survey, from 1.7 billion in 1990 to 4 billion in 2009. People who love to commute and stay active on two wheels don’t have to first drive to a park out of town where the bike, and not cars, is the king of the road. Urban areas have adapted and become more bike-friendly. How many bike paths end with a boat ride? 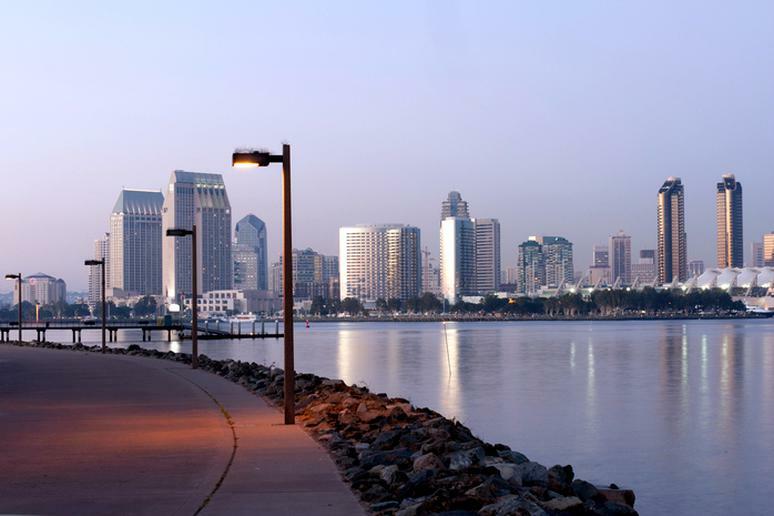 An ambitious project conceived in the 1970s and only just now nearing completion, the Bayshore Bikeway will eventually extend 24 miles around San Diego Bay, providing a vital and scenic connection to tourist destinations. The last portion is a ferry connection between Coronado and San Diego. The majority of the palm tree-lined path is separate from traffic. In its current state, about 15 miles of bicycle paths have been built. The rest consists of on-street sections designated as either bicycle lanes or bicycle routes. 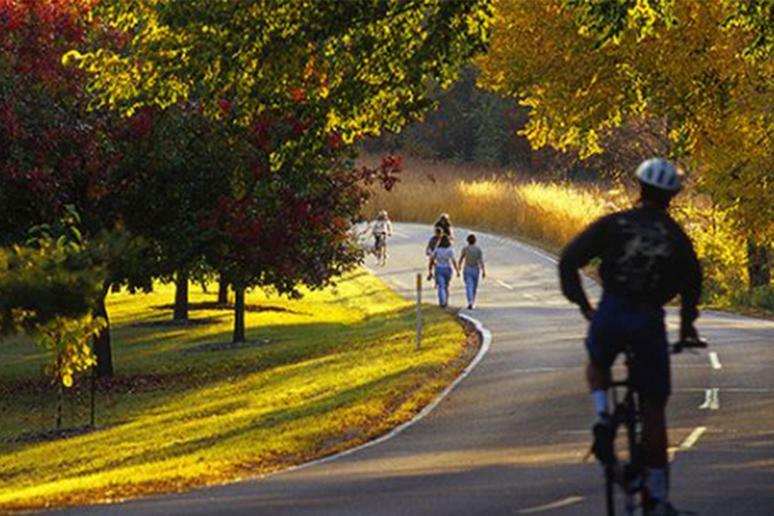 Greenville Health System Swamp Rabbit Trail is a 21-mile multi-use gorgeous greenway. It also runs right through downtown. 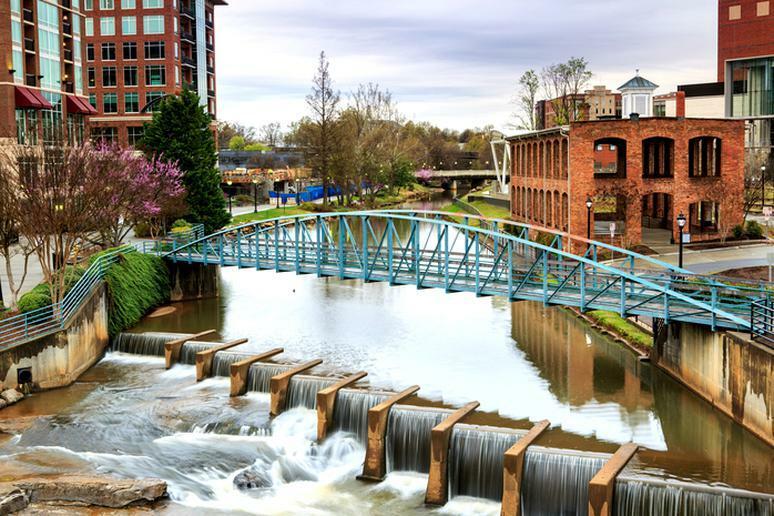 You’ll be biking along the Reedy River though a stunning park-like setting. 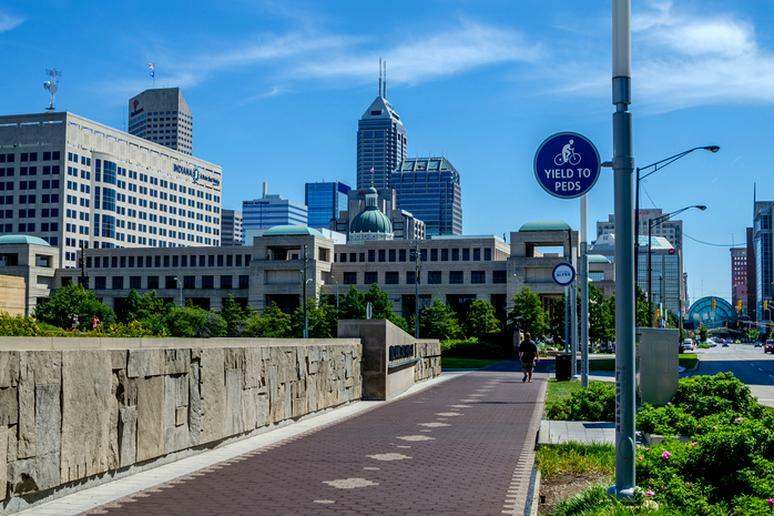 More than 501,000 people used the bike trails last year. The trail links Travelers Rest and Greenville in upstate South Carolina via a former railroad corridor. The path also winds through Lake Conestee Nature Park, which offers 400 acres of beautiful forest, wetlands, and wildlife habitat, according to Trail Link. 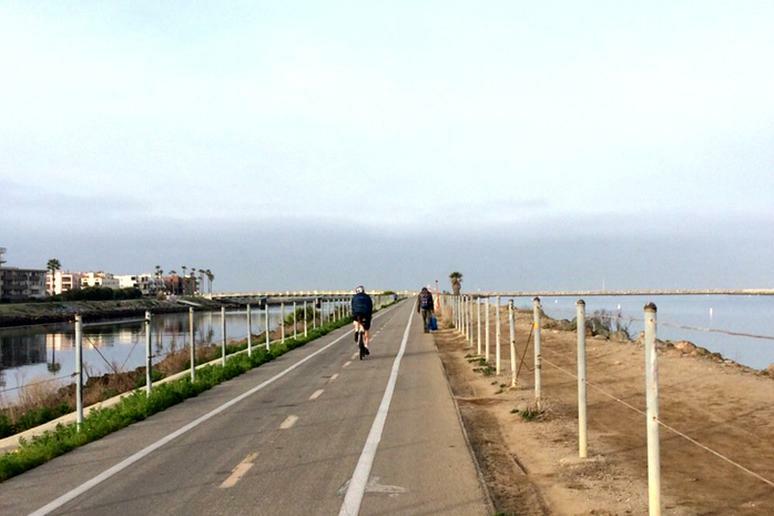 The car is king in Los Angeles, but if you want to skip the highways and surface streets, there’s always 20 miles of beachfront riding on the Marvin Braude Bike Trail. It runs along the Pacific Coast, from Pacific Palisades in the city to Torrance, and is open year-round. The County maintains approximately 14.9 miles of the path from the northern boundary of Santa Monica. The trail also passed though Venice and other beachside cities—rarely out of sight of shore. If you are looking for a place with more bikes than cars on the road, this is it. [See: Best Cycling Trips in U.S. and Canada] Madison is often referred to as the (unofficial) cycling capital of the Midwest. The Capital City State Trail is the link around and through Madison between the Military Ridge State Trail and the Glacial Drumlin State Trail. Nine miles of the trail go through the scenic Capital Springs State Recreation Area. Overall, this is a 17-mile trail that will take you through the unique urban beauty of the city. The Loop, and ambitious larger trail network, will one day encompass 131 miles of trail throughout Tucson. 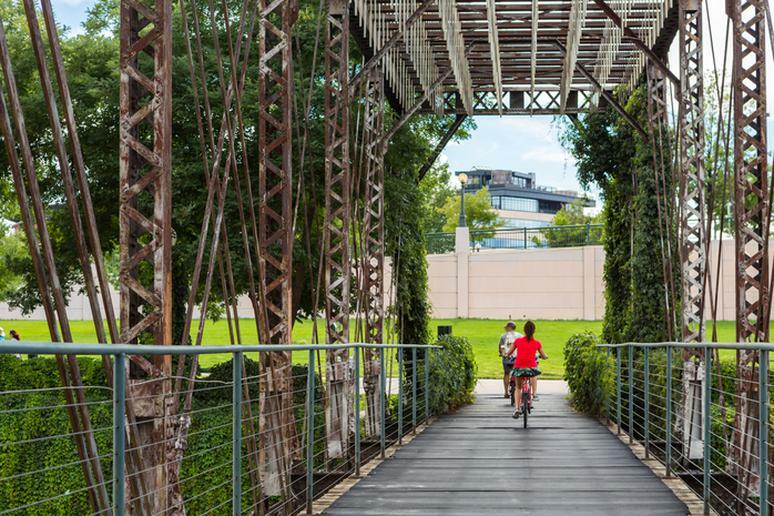 It will connect several existing greenways into a single continuous path that passes within a mile of 60 percent of the region’s population. 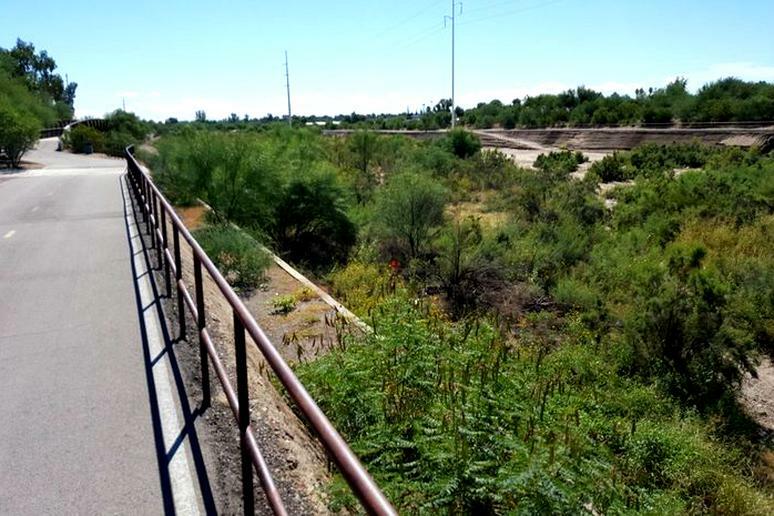 One of those greenways, the Rillito River Path runs along both sides of the (mostly dry) river of the same name and is mostly paved for its 12 miles, skirting the Catalina Foothills in the north of the city. Well used by cyclists, joggers and horseback riders alike, the popular trail showcases the desert scenery in this bike-friendly city. 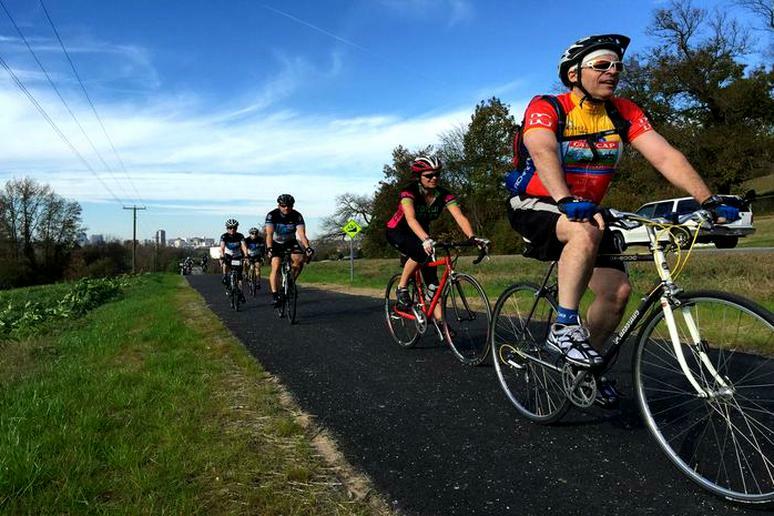 The Virginia Capital Trail crosses approximately 52 miles, four jurisdictions, and more than 400 years of history along one of the first inland routes in North America. It connects Richmond to the first settlement in Jamestown and the Colonial Capital in Williamsburg. The trail’s first birthday is on Oct. 1, 2016. From 11 a.m. till 4 p.m., there will be special giveaways, food trucks, live music, and craft beer. If you’ve ever wondered how this famously hilly city consistently ends up on lists of most bikeable cities, look no further than its network of low ground-seeking bike lanes and paths. The city’s most scenic bike route also follows this pattern, tracing the shoreline along the Embarcadero for just over two miles. 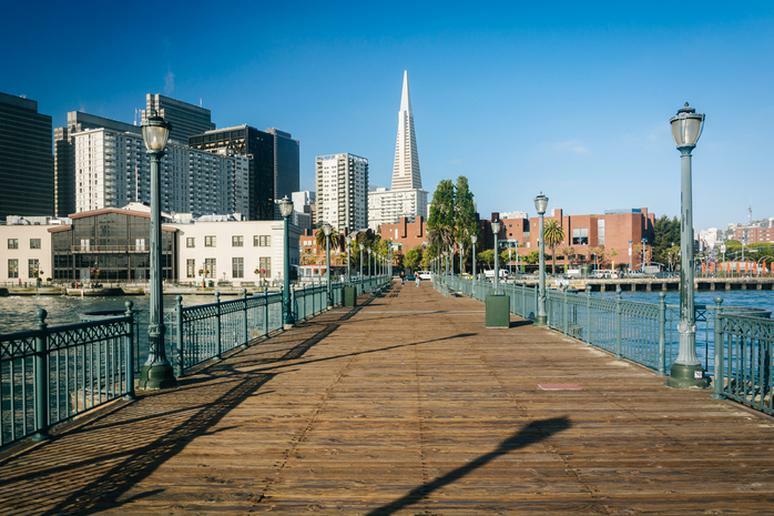 Not only does this path circumscribe a generous portion of the city, but it showcases the best of San Francisco: You’ll pass Fisherman’s Wharf, the sea lions at Pier 39, and Telegraph Hill, all while taking in gorgeous views of the bay. 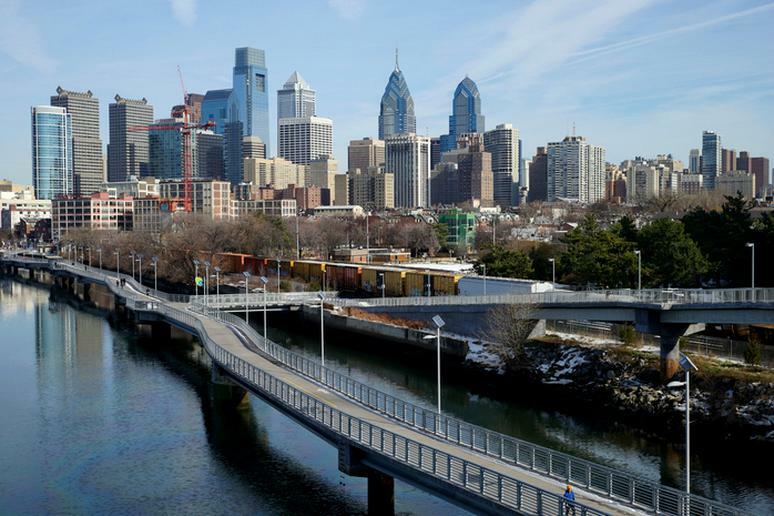 The 23-mile Schuylkill River Trail is a boon to commuters entering the city from Montgomery County, residents looking for a scenic shortcut through parts of downtown, and recreational cyclists making a weekend escape. The path winds unbroken, except for two short segments, all the way to Valley Forge National Historical Park. The trail is a multi-use trail in Southeastern Pennsylvania with a projected length of almost 130 miles when complete, 60 of which are finished. The Boulder Creek Path is about 5.5 miles long and runs to Boulder Canyon on the west end and Stazio Ballfields on the east end, to the outskirts of the Valmont Reservoir. [See: Most Common Cycling Injuries and How to Prevent Them] You’ll be riding along the gorgeous creek most of the time. The trail is good for all skill levels – it is mostly dirt and gravel on the west but it’s paved as you approach the city. The path is moderately trafficked and you’ll come across mountain bikers, joggers and hikers. The Vera Katz Eastbank Esplanade is 1.5 miles long, extending north from the Hawthorne Bridge, past the Morrison and Burnside Bridges, to the Steel Bridge with connections to eastside neighborhoods as well as across the river to Gov. Tom McCall Waterfront Park. 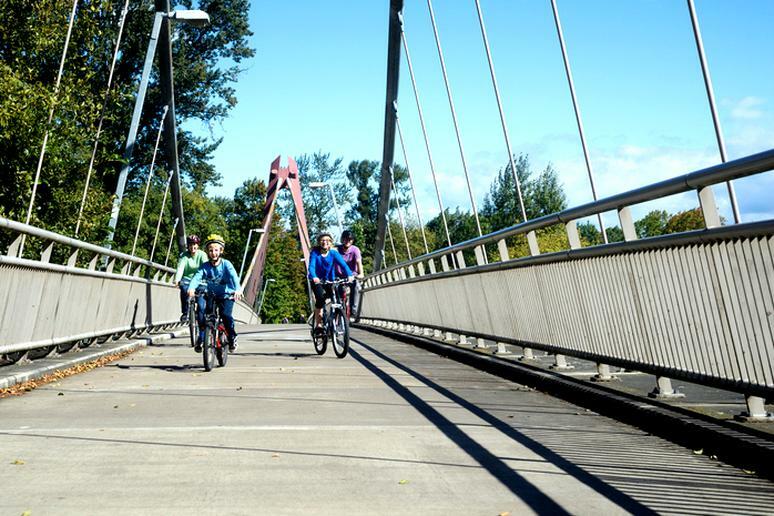 Portland was named the country's best biking city by Bicycling Magazine in 2012. The highlight is a 1,200 foot “floating walkway”—the longest of its kind in the U.S., according to Portland Parks and Rec. After leaving Portland’s heart, the path connects with the 21-mile converted rail trail heading to the suburbs. You’ll pass by Johnson Creek through wetlands, parks, a wildlife refuge and several of the city's colorful neighborhoods. The Cherry Creek Bike Path, a paved trail, begins where Denver was first founded and runs along the creek for more than 40 miles to Franktown. The trail is one of the most popular biking/hiking/jogging trails in the Mile High City, and one of the most stunning, too. Parts of it comprise the Front Range Trail, an off-road bike path that will eventually stretch the entire north-south length of Colorado, from the Wyoming to New Mexico borders. 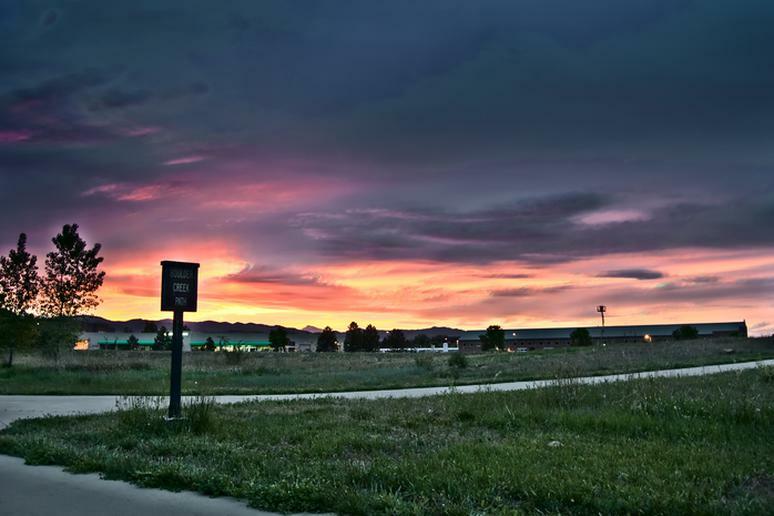 Some of the path’s highlights include the Shopping District with nearly 500 stores, the iconic Four Mile House & Historic Park, and the Cherry Creek State Recreation Area, one of metro Denver's largest lakes has boating, camping, swimming and horseback riding. 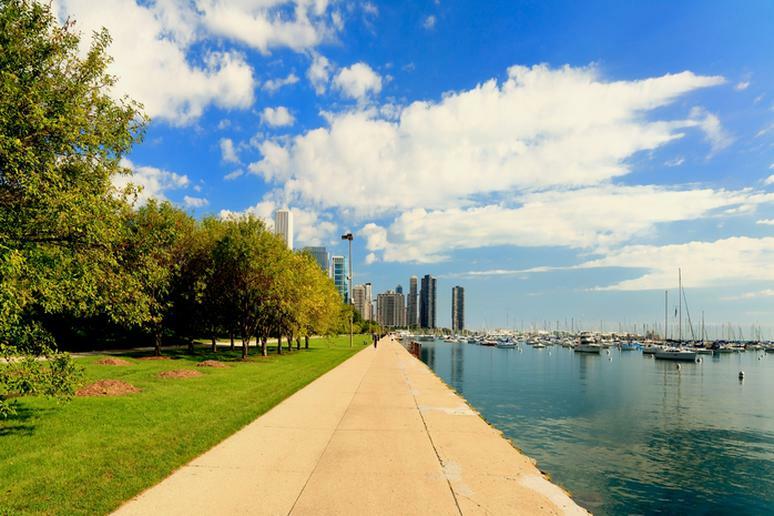 Located along the gorgeous Lakeshore Drive, the Chicago Lakefront Trail is one the Second City’s most gorgeous assets. [See: 15 Most Spectacular Lakes in the World] The 18-mile stretch along Lake Michigan includes beaches, volleyball courts, playgrounds, baseball diamonds, tennis courts and even soccer fields. 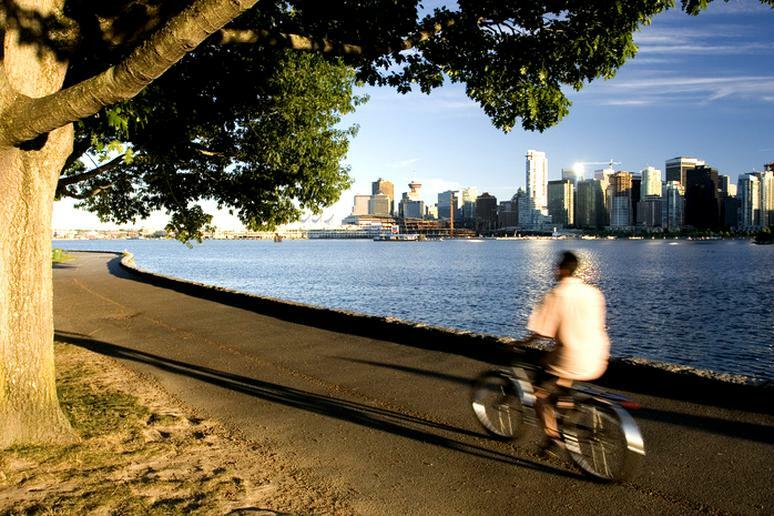 Bike along the linear park and soak stunning views of blue and clear waters, green parks, skylines views, boat harbors, serene gardens, and lively boardwalks. It’s no mistake that Nike’s hometown has miles upon miles of trails dedicated to running and biking. 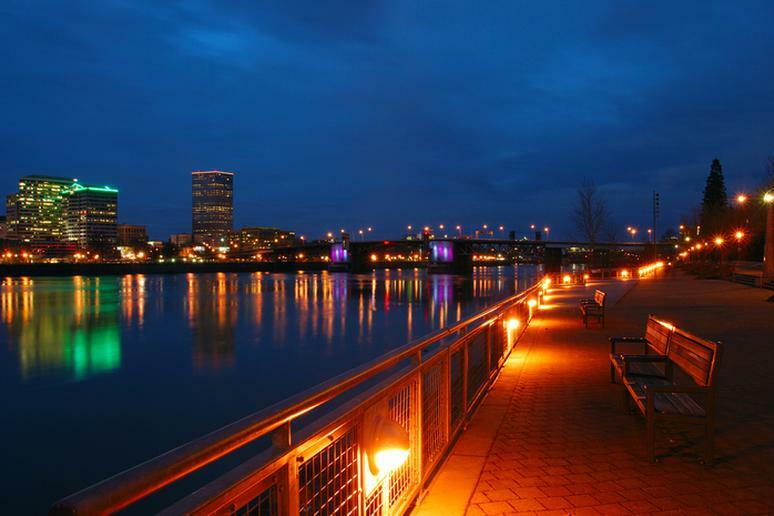 This outdoors-loving home of the University of Oregon is one of two cities on this list to feature a Willamette River-centric path. Running for a combined 12 miles on both sides of the river (there are four crossings), this paved path has quarter-mile markers and gives access to parks, the university and a mall. It's also within blocks of several of the city’s famed breweries. Any bike path in this beautiful place will do, they are all gorgeous. 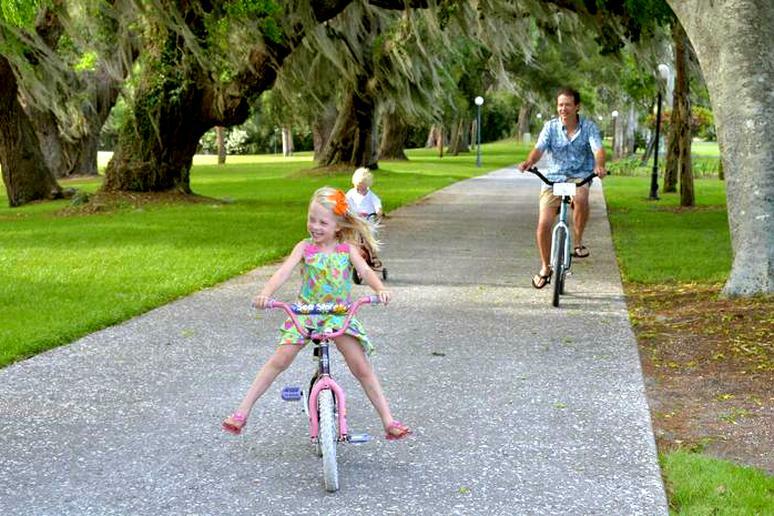 [See: Best Bikes in 2016] Jekyll Island features about 25 miles of paved trails along which you can explore beaches, forests, Jekyll Island's own Historic Landmark District, as well as campgrounds. The bike paths also wander past some of the showplace “cottages” that are remnants of the island’s aristocratic past.